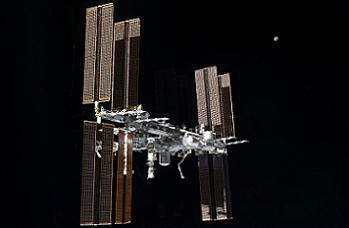 The International Space Station (ISS) Flight Control Room (FCR) in Houston suffered a primary and backup failure of its Front-End Processor (FEP), causing a loss of the forward command and voice link between the orbital outpost and Houston. The issue – since resolved – caused controllers to move to the Red FCR, per contingency procedures. The ISS is currently manned by a three member crew, following the successful departure of Soyuz TMA-03M (29S), carrying Russian cosmonaut and Soyuz commander Oleg Kononenko, NASA astronaut Don Pettit and ESA astronaut Andre Kuipers, who all served as part of the ISS Expedition 30 and 31 crews. 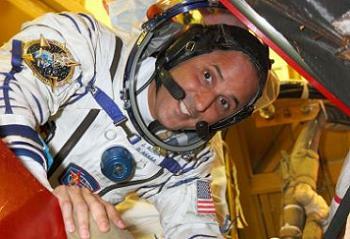 The crew enjoyed a nominal return to Earth, landing in Kazakhstan on Monday morning. “29S Undock: Soyuz 29S successfully undocked from ISS over the weekend, and the 29S crew has returned safely to the ground. All operations were nominal, including USTO (United States Thruster Only) maneuvers to and from the -XVV attitude, array positioning for undocking, and RS MCS maneuvers to and from the undocking attitude,” noted L2’s rolling ISS Update notes – L2 Link – on the undocking. Expedition 32 – consisting of Russian commander Gennady Padalka, joined by fellow Russian Sergey Revin, and American Joe Acaba – will soon be boosted by three additional members – Russian Yuri Malenchenko, American Suni Williams, and Japanese astronaut Aki Hoshide – who are set to ride uphill on their Soyuz TMA-05M/31S spacecraft in the middle of this month. The problem with the ISS FCR occurred on Sunday, when controllers noted the loss of the forward link (command and voice) through the Front-End Processor (FEP). Teams attempted to troubleshoot the issue on both the Prime and the Backup systems without immediate success. 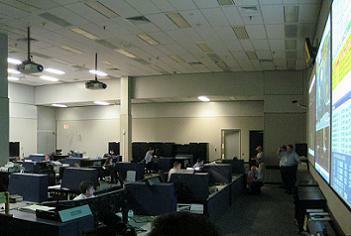 Per contingency procedures, the team moved to Red FCR – otherwise known as the Training Flight Control Room – where controllers have access to a backup command link. The Station and crew were in no danger at any point during the issue – with is under investigation, but may be related to a “leap second” programming implementation into the system over the weekend. The only impact related to a planned attitude maneuver to take the Station from the -XVV – required for the Soyuz TMA-03M undocking – back to the nominal +XVV attitude. This was delayed to accommodate the troubleshooting and the move to the Red FCR. The ISS controllers all moved back into the ISS FCR (FCR-1) in the early hours of Monday after the recovery effort on the FEP was deemed to be a success. It was also noted that during the issue, the ISS crew did try to call down to Houston. When they gained no response, ISS commander Padalka followed procedure and called his controllers at MCC Moscow to ask what the problem was. Ironically, the crew were supposed to be in a sleep period during the issue. Follow on discussions also took place with Joe Acaba, related to what was always a back up option had the FEP issue continued for a longer period. This involved a netmeeting session with MCC-H to allow controllers to contact him and tell him to use the Station’s IP phone if they needed to speak to him. The IP phone on the ISS is often used just like a normal telephone, allowing crew members to talk to their families in private. Due to the resolution of the problem, that protocol was not required, with normal voice and command procedures now back in place.